Managing information has matured from simple management of individual documents to the more complex management of information in its context. One of those more complex forms is the management of case-based information. A case management solution is not an off-the-shelve box to implement. You, your organization and your business processes are unique. That is why you need to compose the solution during implementation. Case management is not focussed on an individual document or piece of information, but rather on all information that comprise a specific case that needs to be processed. This includes the information that triggers the case such as a request, but also all other information that is created during the lifecycle of the case such as an advice or decision. The purpose of case management is to reach a predefined result for each case. Although the result is predefined, the process depends on the information provided and is not predefined. Execution of the case is predominantly controlled by experienced, knowledgeable employees with the right insights. In general, that is the successful closure of the case. 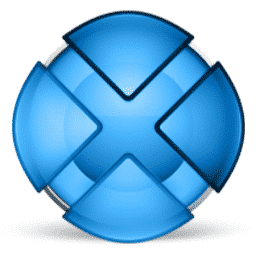 Creating role-based applications is encouraged by xCP. This means that within a single application the functionality and user experience provided to different user roles can be based on specific requirements for each role. The user interface for different roles can have great similarities but also great differences while still being based on a common base of information. xCP enables developers to define reusable (UI) components to reduce redundancy and its associated maintenance costs. To further enhance the re-usability, Informed Group has created several xCP xCelerator’s for usage in xCP solutions for our customers. An xCelerator is one or more assets that can be used to accelerate the creation, adoption, and/or implementation of an xCP solution. xCelerators can be complete sample applications, but they can also be simple components or composition/configuration snippets, that hasten application composition by providing key pieces of functionality. If you prefer an agile project approach, xCP development fits perfectly. An xCP application can be developed using iterations in which small functional components are developed, tested by the users and enhanced if necessary. Because the development cycle of such an xCP component is shorter than most traditional development tools, these iterations can be kept relatively short, keeping the users involved in the final result. However, this development method requires the xCP developers to have a very good understanding of the possibilities and limitation of the xCP and Documentum platforms.